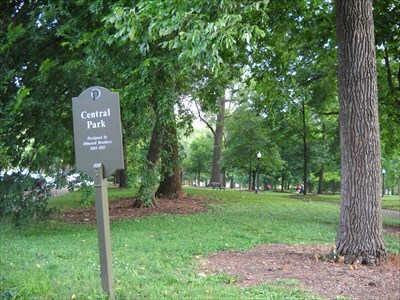 The Old Louisville Neighborhood Council requests the help of volunteers from the University community to assist with the Central Park Autumn 2018 Improvement Day. The park clean-up and improvement activities are part of a larger county-wide clean-up event sponsored by Brightside and Metro Parks. Work will include general cleanup, mulching, and other activities to prepare the park prior to the winter. Volunteers will assemble at the Old Louisville Neighborhood & Visitors Center in Central Park 8:30 am prior to activities starting 9:00. Come early! Free Heine Brother coffee, hot chocolate, donuts and fresh fruit will be available at check-in. At noon, lunch including pizza, chili and drinks will be provided for all volunteer workers. Participating in this project will be an excellent opportunity for RSOs, Greek organizations, Sustainability and all other groups on campus to make a difference and gain approximately 3.5 hours public service credit. In the past, the annual Central Park Spring clean-up has attracted between 20 and 40 individuals representing the University. This event is part of UofL Homecoming Week's Day of Service, an opportunity for alumni, fans, and the entire UofL community to give back to Louisville!